Is Bonanza Legit & Reliable? Read The Reviews! | Does it Work? Is Bonanza Legit & Reliable? Read The Reviews! Are you looking to sell your unique items online? Bonanza is a marketplace that boasts many awards. Does it really work? Our team set out on a 10 day research to find out whether it's safe for both store owners and buyers. Do you have a positive experience with Bonanza? Bonanza is an online marketplace that allows people to sell unique items. Think of objects that are one of a kind and couldn’t be found anywhere else. Some people compare this website to eBay, others say it’s better than eBay, Amazon, and Etsy. The company first opened in 2007 and used to go by the name Bonanzle, but changed to Bonanza Inc. in 2010. 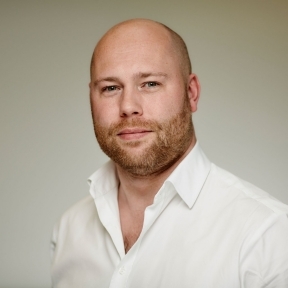 The founder and its CEO Mr Bill Harding worked as the technical lead for Nintendo DS games at Amaze Entertainment (now Griptonite Games). The makers of Bonanza made sure to have lower fees than any other marketplace. This definitely attracts attention from new sellers that are looking to succeed in the digital marketplace. But do they also provide a similar quality for its users? Our team spent 1 week to find out if this is a legit website that’s reputable and most importantly, trustworthy. Read this article and discover what we found out. Bonanza claims to have the most unique items online. Their motto leads you to believe that you’ll find “everything but the ordinary” on their website. If you visit their official website, you’ll notice that they boast 12,000 sellers that voted Bonanza the best place to sell online for 2016. The website offers its users the opportunity to create better images of products using the “background burner tool”. You can open a web store, run a business on their platform, and build a brand. You can also become an affiliate and pay for referrals, in order to build your audience. Lastly, Bonanza offers a sustainable business. They promise to drive sales and help you build something stable. Does this website really work? Is it a safe website or a scam? Read this article and find out everything you need to know about Bonanza. The registration process is very simple. Their website offers an easy interface that is user friendly and intuitive. If you already have a listing on eBay, Shopify, Amazon or any similar site, you can import them to Bonanza with a click of a button. If you’re new to selling online and wish to become visible straight away, you can choose the option to be marketed by Google Shopping. For that you pay a commission rate of 9%-30%. If you choose a higher commission rate you’ll get more buyer visits. For items under $500, you’ll have to pay 3.5% of the value. So if you sell an item worth $100, you’ll have to give $3.50 to the website. For items over $500, you’ll have to pay a fixed amount of $17.50, plus 1.5% of the amount over $500. So lets say you make a $1000 sale. For this one, you’ll have to pay $17.50 plus $7.50 (which is 1.5% of the remaining $500), bringing your total to $25. If you wish to have a professional subscription there are 3 plans to choose from: Gold, Platinum, and Titan. Gold membership is recommended for beginning sellers and it will cost you $25 per month. You get twice the page views, Google Analytics and Keywords that drive traffic to your items. Platinum membership costs $55 per month and is recommended for most sellers. You get 3x more page views and all the other goodies. Titan membership would be chosen by high-volume sellers, and will cost you $167 per month. With this amount you also get a personal account manager that will review and optimize your store. Users are not protected by Bonanza directly, since they’re not buying or selling anything to Bonanza. If you have any issues with the product you’ve bought, you’ll need to take it straight to the seller. This makes some people uncomfortable and feel unsafe. This website does have a customer service team that you can reach by sending them an email to support@bonanza.com, but they are notorious for not replying. A faster way to get an answer is by submitting a question straight from your account. An even faster way is by submitting a report to Better Business Bureau, as they seem to be proactive on there. Is it Legit? The website is legit for sure and people have been using it for many years. The real question is – is it reliable? Unfortunately we cannot say it is. There has been many complaints over the years. Some of them pointing towards the individual sellers that failed to deliver a product. Other times it was the sellers themselves that complained over the lack of customer service. Is it really the biggest market place? 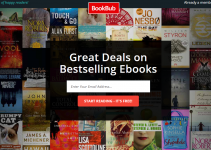 According to our research this website has 50,000 users, compared to 300 million users on Amazon. Competitors and alternatives of Bonanza? If you’re into researching digital marketplaces, be sure to check out Etsy, BigCartel or Fab. They all offer unique items in a much safer environment. Does Bonanza sell fakes? There has been numerous reports of people selling fake products in the past. Sometimes they’ll be a different color than the photo provided, other times it will be a completely different item. If you decide to shop here, make sure you’re using a well known reliable seller. What payment methods are available? Paypal and Amazon payments are the available options. Also if you receive 10 positive comments you’ll be able to offer direct checkout. You can also receive money orders if you’ve got 3 positive comments. Lack of customer service that have earned them many negative reviews over the years. After doing some serious research, our team noticed that there are not many people feel overwhelmingly positive about this website. Even though there are so many words of praise and awards going around the media, the actual user experience is far from the best. Even further from getting you the business of your dreams. The biggest issue people have with Bonanza is that it doesn’t offer any kind of protection or assistance. There are many cases where the seller doesn’t ship the item at all. If the seller refuses to answer your requests, there is no legal obligation that binds them to delivering the product. To be quite honest, we cannot get angry at Bonanza every time a seller turns out to be a fraud. But in a way they are responsible for your user experience. Most people that have used Bonanza claim it was one of the most unprofessional websites they’ve come across. Sellers feel that in most cases they “weren’t treated right or with respect” by the customer service center. All this info made our team very cautious towards Bonanza. One thing everyone recommended is to be really careful who you’re buying from. We felt totally hyped when we found out about this website. It sounds amazing, it offers a lot of helpful tools for beginners and the graphics on the website look professional. We also liked all the media attention this website has received, together with many awards. Best Overall Marketplace for 2016, Best Entrepreneurial company in America 2016 among others. The truth hit us hard once we started reading about all the negative reviews and user experience over the years. A lot of people have had really bad experiences with this website. Many of them are stated on the BBB website. It has been proven throughout the years that people will not be honest and fair if left to their own devices. Bonanza is no exception to this rule. We read about many complaints and reports happening over the years, both on the seller and buyer side. Meaning – there seems to be a lack of control over possible scammers on Bonanza. The lack of a system that will control and keep everyone reliable and accountable makes this website a truly unsafe marketplace. What was your experience with this website? Would you recommend it to a friend? Please let us know in the comment section below. 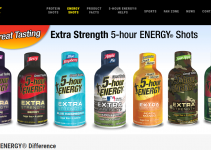 5 Hour Energy Reviews: Is It BAD For You? 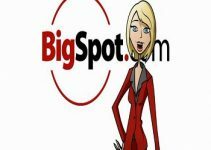 Is Bigspot a scam or a legit survey site?